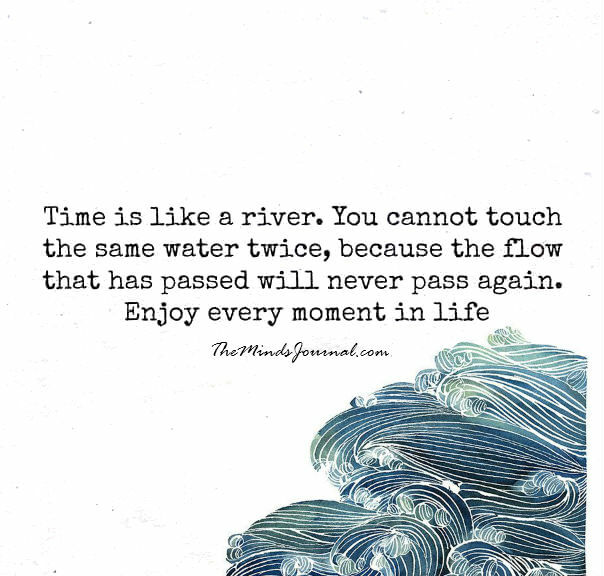 Time is like a river. You cannot touch the same water twice, because the flow that has passed will never pass again. Enjoy every moment in life . For many of us, we take for granted time until we are older. Live in the NOW–so true. Why it´s so ironic that you can´t never live a happy and epic moment twice, but pain can repeat all the times he wants?? why? ?